A unique print accentuates this beautiful jute rug. 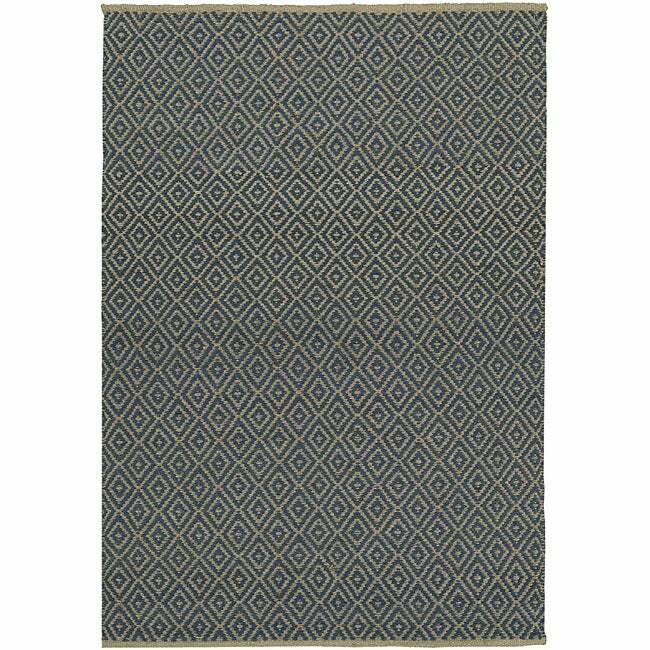 This rug features a durable construction in shades of blue and cream. Not navy, as shown in picture - turquoise! If I had been at home when my husband unwrapped it and placed it under the table, I would have returned it. Not the color shown in picture AND had to buy a carpet pad to keep it in place. Not happy with husband or product! This feel apart almost immediately -- not good for high traffic areas at all. "Can I see a close up of this rug? One of the reviews says that it's turquoise." "Is this rug durable enough for screened in porch." Thank you for your question ekmw. The Blue Diamond Jute Rug (6' x 9') is an indoor rug, we recommend using it for it's intended purpose. 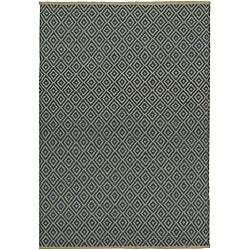 Please check out the Poolside Brown/ Natural Indoor Outdoor Rug (6'7 Square), item 14170934. Have a great day. "Does this rug have a rubber backing?" Hello agshopping, This does not have a rubber backing. I would recommend using one of our many non-slip rug pads. I have posted a link below: http://www.overstock.com/Home-Garden/Rug-Pads/1285/subcat.html Have a great day!